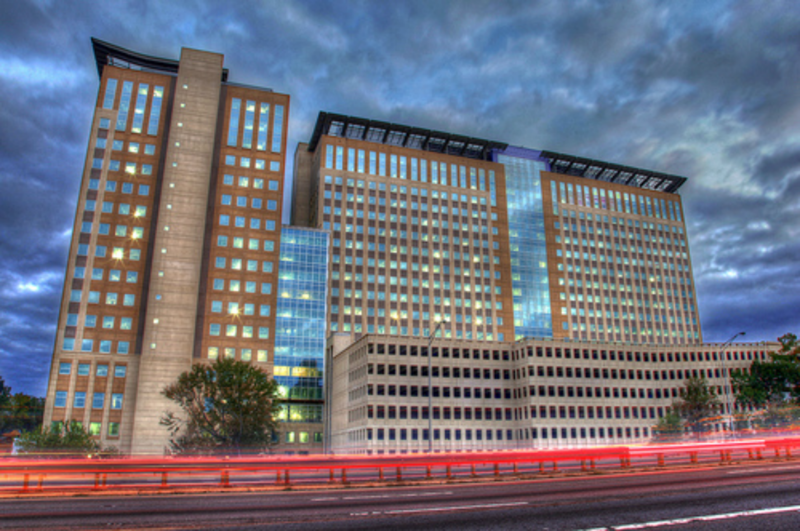 The BRAC 133 project is a office complex developed at Mark Center in Alexandria, VA. The building is for 6,409 Department of Defense (DoD) personnel that implements the 2005 Base Realignment and Closure Commission’s Recommendation # 133. The complex consists of two multi-story office towers—a 15-story east tower and a 17-story west tower; as well as two parking garages and a public Transportation Center serving Mark Center and the surrounding community, and ancillary support facilities. The construction materials for the two complex towers are steel frames with precast wall panels with the parking garages composed entirely of precast concrete. FMC and Associates, LLC preformed quality assurance for construction materials testing & inspections; including soils backfill compaction testing, foundation bearing capacity, concrete pours, steel installation, fireproofing, and precast concrete panel installation.